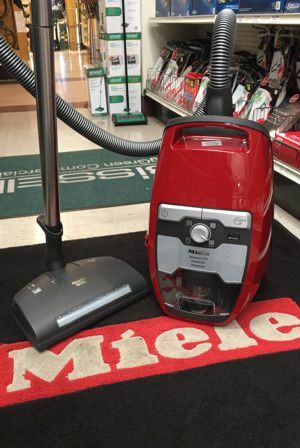 The New Miele bagless "Blizzard" vacuums are here! Like all Miele vacuums, you can expect the very best to quality, durability, and performance with each Miele Blizzard model. We are stocking 2 models (the Turbo Team and the HomeCare), but we are happy to special order any one of the 5 models for you. 1. This one is obvious, but you will experience NO bag cost. 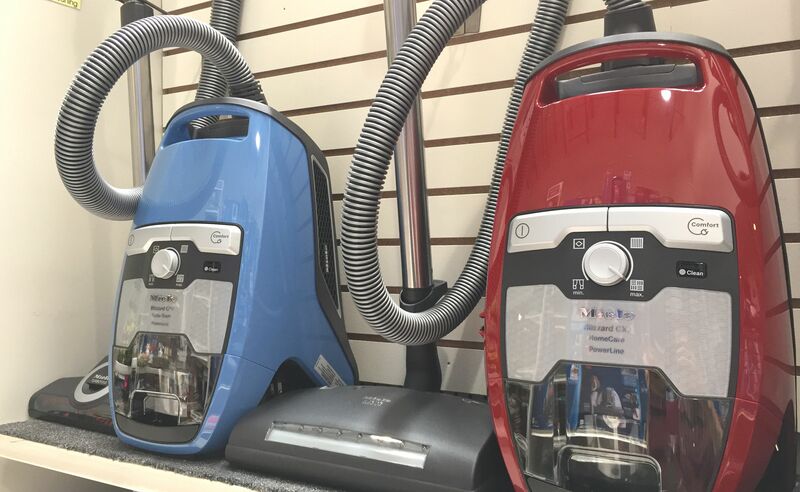 Bags may not need charged frequently, but for the typical household you are looking at a savings around $40 or so per year when you choose a bagless vacuum. 2. NO filter replacement. All Miele Blizzards vacuums come with a lifetime HEPA air filter which effectively treats the air exiting the vacuum as good on day 2,000 as it does on day 1. The main filter that traps fine dust particles from escaping the vacuum is called the GORE CleanStream fine dust filter and this one offers an automatic self-cleaning feature to be sure that it is always operating at its best. 3. Hygenic Emptying. Miele has always placed a high importance on making a clean vacuum, and their bagless vacuums are no exception. Their innovative dust separation system keeps coarse soil in the larger lower compartment, while fine dust is trapped in the smaller top compartment. As a result, when you go to empty the canister, the large drops out with minimal dust escaping! 4. Vortex high suction motor. Miele's high-powered motor offers superior suction and dust separation thanks to air flow up to 62 miles/hour! Combined with specially designed floorheads, Miele Blizzard vacuums clean smooth and carpeted surfaces with ease. Stop by and take one of these for a test drive in our vacuum aisle. As always, we are here to answer any questions you might have. Thanks for reading about what is new in our Housewares Department.